Creative digital agency Holygrow forms partnership with cloud-based hpaPaaS Betty Blocks to help organizations grow through a smart combination of design and technology. 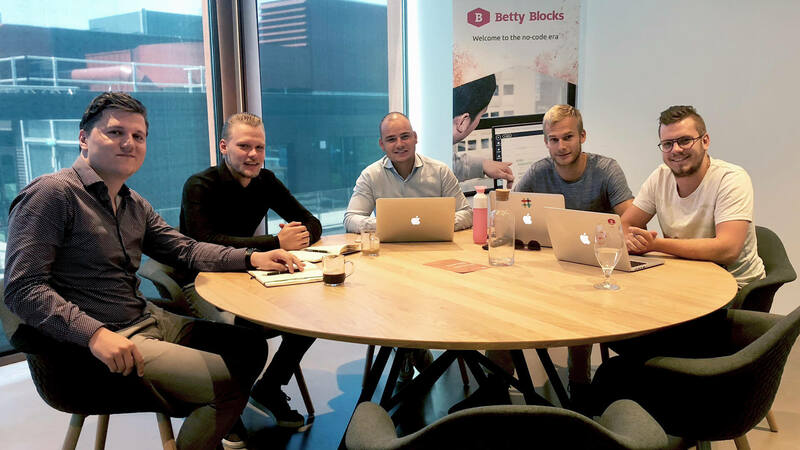 PRESS RELEASE: The Netherlands - 19 July 2018 - Betty Blocks, the leading no-code application development platform provider, today announced a new partnership with creative digital agency, Holygrow. The partnership was formed to combine the forces of Holygrow’s design expertise and Betty Blocks’ technology to help organizations turn their ideas into innovative solutions. The two companies came together through Holygrow’s search for a low-/no-code platform that was suitable for their target audience. Holygrow and Betty Blocks share the same goal to help organizations innovate in a new way - building and testing strategy simultaneously. Holygrow’s out-of-the-box thinking process to help organizations succeed resonates with a digital transformation process that Betty Blocks’ no-code platform also facilitates organizations with. The process starts with discovery, organizations set their goals and provide the objectives for the project plan. The project plan includes a roadmap that shows when deliverables will be provided and how the project will be approached with an agile method. Then, the strategy is tested by experimenting with ideas using the Betty Blocks platform. As these solutions are built, they can be analyzed and optimized efficiently, to consistently improve the project. On August 9th, Holygrow is hosting an event about customer happiness with Low-/No-Code Platforms. For more information and to confirm your attendance, register here. Holygrow is a young and innovative digital agency that helps startups and organizations grow through a smart combination of design and technology. They craft digital products out of original ideas into experiences that are both innovative and meaningful. With a focus on collaboration, quality design, growth and innovation, Holygrow is committed to enabling organizations achieve the solutions they need to succeed. Unique to Holygrow is its experiment-driven approach in which they combine data, technology and digital marketing in a strategic way to offer the best product possible. They approach projects as a team so everyone is in line with one goal and equipped for collaboration. Along with a common goal, Holygrow has the passion and drive to create and enhance innovative digital products down to the smallest detail. Visit Holygrow at https://holygrow.nl/, follow them on Facebook and LinkedIn.